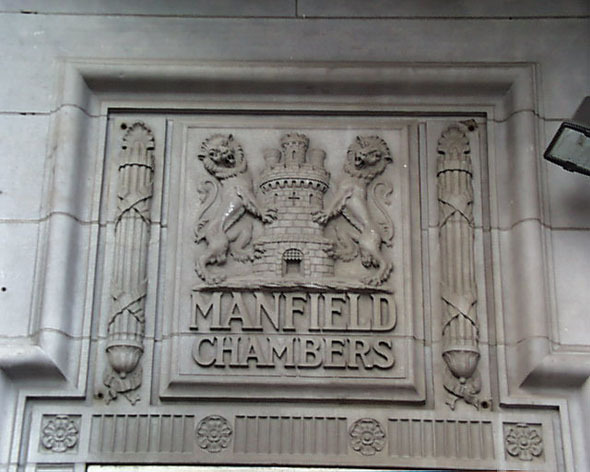 On the corner of O’Connell Street and Middle Abbey Street, Manfield Chambers is a commercial premises with a branch of Clarks on the ground level and various offices above. 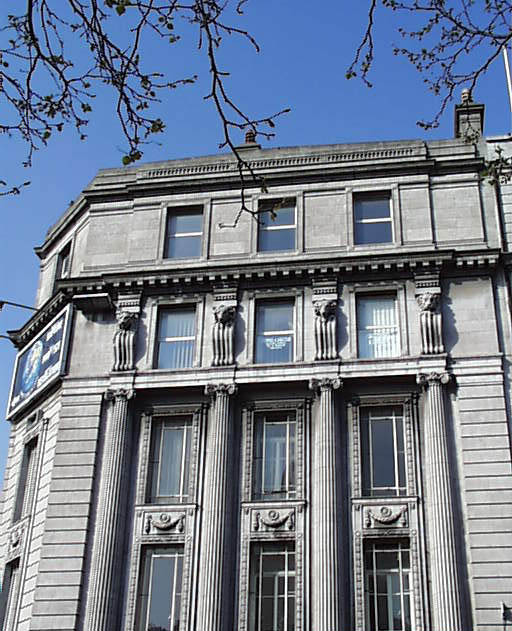 The doorway is set at an angle under the main Abbey Street façade and has a distinctive decorative panel above. 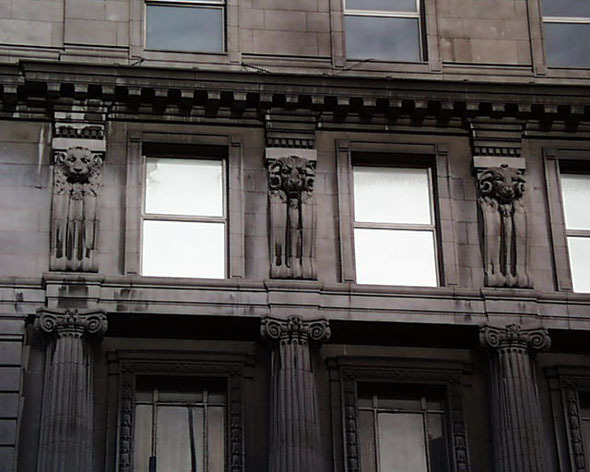 The entire façade is characterised by sculptural detail from the corinthian columns to the lions heads.